Home Books Program Driven or Missional Driven? Program Driven or Missional Driven? 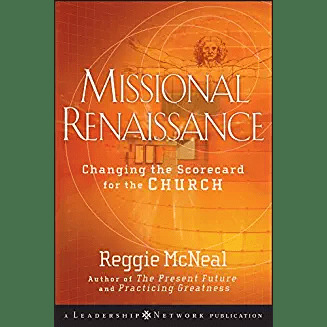 In a recent conference, Reggie McNeal described three shifts needed for churches to move from program-driven to missional-driven. These are very insightful for all church leaders and for a strategy of disciple making. This isn’t an “either-or” situation, but a movement toward involvement outside the building. In the past, church-centric world, the assumption was excellent worship services and great preaching were the keys to drawing people to faith in Christ. The heart of this question aims at creating a people-development culture in which improving lives is more important than running them through a program. Another question we should be asking is, “How many people have we disciple?” I realize that discipleship is a process but churches should evaluate how many folks are being discipled. McNeal said his emphasis is on pastors moving away from acting as institutional managers toward leading a movement. In this model, instead of a minister saying, “I’m pastor of First Baptist,” he or she would proclaim, “I’m pastor of the community and my support team is First Baptist,” McNeal explained. How are these three principles (shifts) impacting your church? What do you need to do to lead your church to be more Great Commission focused? apostolic leadership, external, internal, missional-driven, program-driven, Reggie McNeal, shifts. Bookmark.